The magic of a space. It doesn’t have to be a permanent, tall, iron-cored skyscraper or a well-designed architectural wonder of the world. 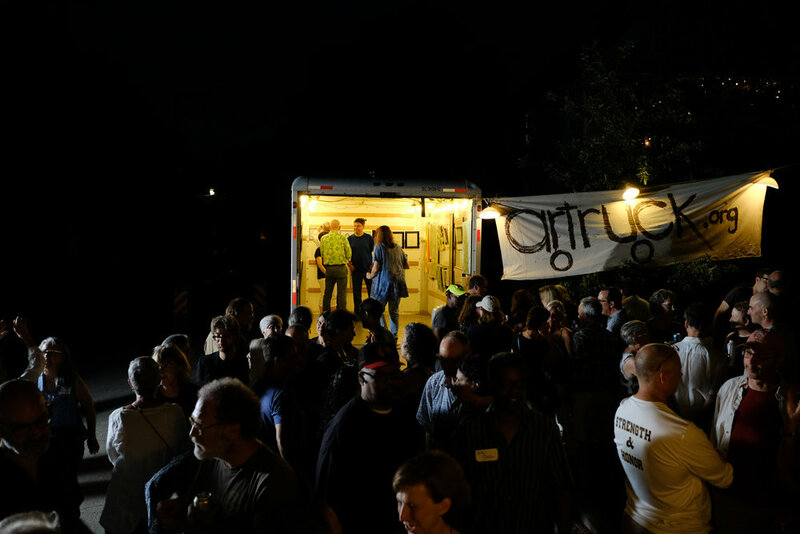 It can be as simple and plain as two moving trucks transformed into a makeshift art exhibit space for one evening. We create it within 24-hours so that Art can be shown, friendships forged and bread baked. Artruck is an event that builds and binds our community. -- Julie Cowan, Artruck Founder. Neil Good and Julie Cowan, Artruck Founder.